First, let’s go over the news story for this blog post, and then I’ll have comments after. The news story comes to us from the purple state of Wisconsin, which recently handed former Governor Scott Walker a narrow loss to his Democrat opponent Tony Evers. 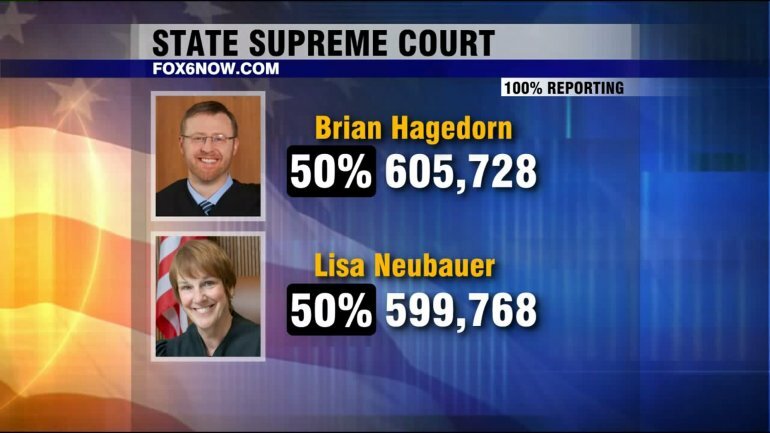 The news story is about a recent election for a seat on the Wisconsin Supreme Court. Here’s the story from National Review. […]The Wisconsin Democracy Campaign reported that liberal groups backing Neubauer outspent conservative groups backing Hagedorn by as much as a 14-1 margin until the last week of the race, when the RSLC swooped in with a million-dollar ad campaign. It didn’t erase the disparity between conservative and liberal spending in the state, but did narrow the gap. I was curious who the outside groups were campaigning against Hagedorn, and it turned out to be groups like Planned Parenthood, the big abortion providers who sell the body parts of children whose mothers didn’t want them. I guess they were afraid that he might put a stop to the taxpayer-funding of their business. The attacks on Hagedorn’s religious views “just lit an incredible grassroots fire,” says Brian Reisinger, a Republican strategist in Wisconsin who has worked for Scott Walker and Senator Ron Johnson. “They were calling this guy a bigot. They were saying that he was speaking to hate groups” because he had spoken to Alliance Defending Freedom, a conservative legal group that backs religious freedom. I know we should be happy that Hagedorn won his election, and in a purple state no less. But reading about these attacks against Christians from the secular left really made me unhappy. It’s just so strange to see one group of people so committed to making other people celebrate their sexual behaviors against their own conscience. But maybe the bullying of Christians has come to a point where even ordinary people are starting to say “enough”. […]“Trump and Hagedorn won because they didn’t back down,” said Moser, a 56-year-old who lives in Kenosha. Though she grew up in a Democratic home and has never registered with either party, she calls the treatment of Hagedorn a tipping point. So, it turns out that mistreating evangelical Christians isn’t a winning strategy all the time. At least, it wasn’t this time. So what’s the way forward? Well, I think that we who are conservative Christians need to do a better job of reading the news and sharing articles about how the secular left is using political power to silence and coerce Christians. The left is pushing an agenda in the culture that conservative Christians are predators, but the truth is we have less rights than non-Christians. Non-Christians don’t get dragged through the mud in public so they get fired. Non-Christians don’t get dragged into human rights courts for offending people. I think we need to work on our brand as Christians, too. Being a Christian ought to mean things like chastity, sobriety, charitable giving, and stable marriages with lots of well-adjusted children. We should embrace our reputation as morally straight, and just try to show that off to others. Share when we make charitable donations. Share about our volunteering. Share about our marriages and children. Share about how much we show love for other Christians.